So you’ve hit a weight loss plateau despite sticking strictly to your diet, keeping your food cravings under control and following a lifestyle so clean and healthy you’re practically a saint! It’s so unfair. 1. Are stress levels high? When cortisol rises, hormones can become out of balance. Oestrogen dominance and insulin challenges (diabetes, pre-diabetic, hypo/hyper glycemic) are primary concerns. 2. Foreign oestrogens are a significant concern in today’s world. If you are a woman, these need to be eliminated effectively in order to balance your own optimal oestrogen production. 3. If you’re a woman, where are you in your menstrual cycle? You can hold on to fluid prior to your bleed and mid-cycle when oestrogen is high, as oestrogen attracts fluid. 4. Did you do your loading phase correctly before you began the diet? You must eat the appropriate healthy fats such as omega 3, saturated and monounsaturated fats to lay down the foundation for the low calorie phase. Cellular membrane function demands this. 5. If you did well on your first round but you’re having a weight loss plateau on your second round, have your amino acid, essential fatty acid and mineral status been replenished? The body can demand high mineral and enzymatic utilisation during fat loss cycles. If you continued to follow a low fat diet between rounds, the result will be diminished resources and slow weight loss or a weight loss plateau. 6. Did you implement good detoxification processes between rounds to eliminate the body’s burden of stored toxins and to ensure excessive demands are not placed on the liver without the necessary nutritional elements? 7. If you have plateaued after doing your first round, have you avoided nutrient depleting foods (wheat, sugar, pasteurised dairy, soy, and other inappropriately prepared grains, etc) completely as part of a fully revised lifestyle format? 8. Is your thyroid out of whack? Get a good thermometer and measure your body temperature from under your arm, any time of day. It is best at 36.5 degrees C (or higher). Less than that may indicate low thyroid function. Dr Simeons suggests to do an ‘apple day’ when you’re experience a weight loss plateau on the hCG diet. We explain it in more detail in our program, but put simply, you eat nothing but six large apples for a day and drink plenty of water. By the next morning, your weight loss plateau is over and there’s a pleasing drop on the scales. The body is an amazingly complex vehicle, which responds beautifully to relatively simple mechanisms, especially when reducing the incoming toxic load. Reduce the demands placed on your body for just a few short weeks and you will be in awe of your body’s innate capacity to move past a weight loss plateau and reward you with the changes you seek. 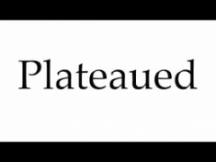 Are you currently experiencing a weight loss plateau? Please share your concerns with me in the comments section below and I’ll be happy to offer some solutions.